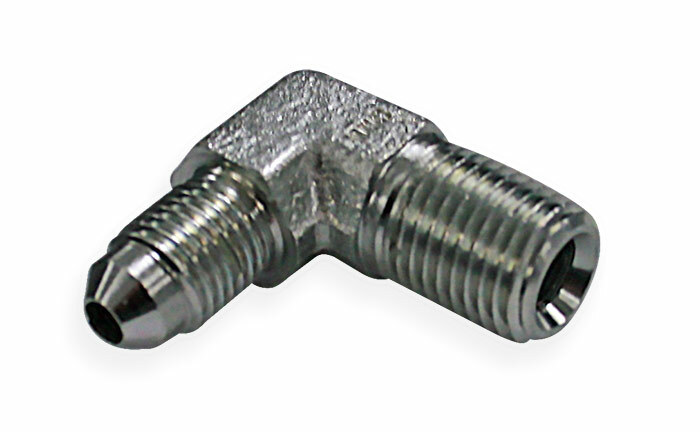 This 90-degree angle regulator fitting/adapter has a 1/4-inch male NPT (National Pipe Thread) fitting on one side and a 1/4-inch male JIC (Joint Industry Council) fitting on the other side. It is constructed of steel. 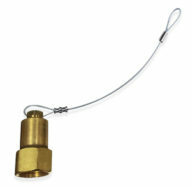 This fitting is for use on Nitrogen (N2) regulator systems.